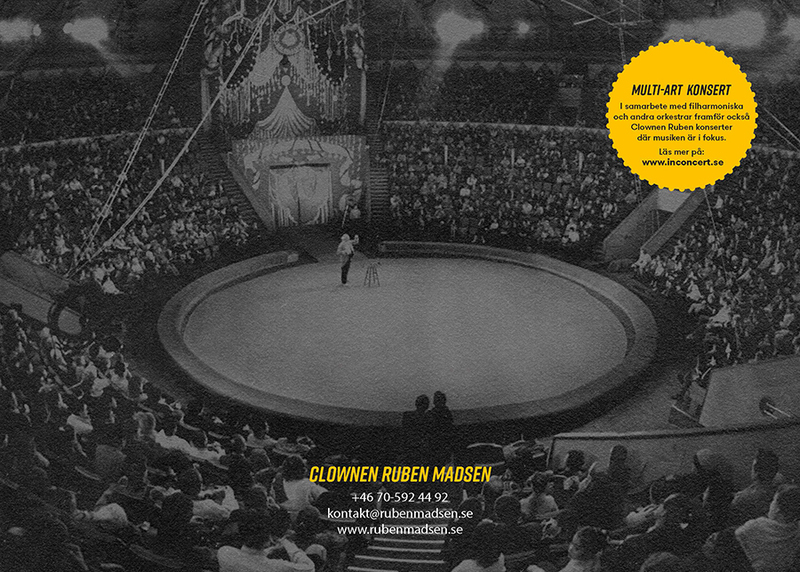 ”Contact with the audience is Clown Ruben’s top quality as an artist! 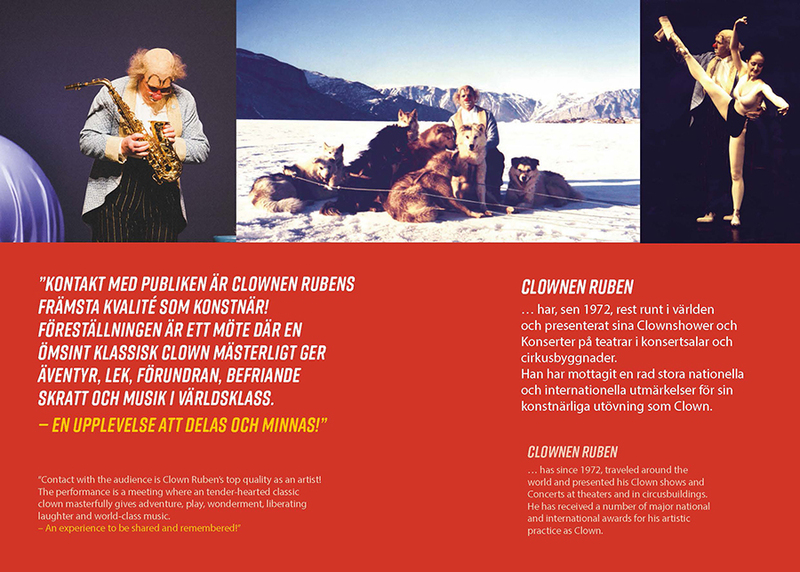 Clownen ruben has since 1972, traveled around the world and presented his Clown shows and Concerts at theaters, circuses and concert halls. He has received a number of major national and international awards for his artistic practice as Clown. Greenlandic sea belt and meeting there with a little boy. The performance’s dramaturgy consists of four parts and commutes between ”then” and ”now”. – ”Then” is depicted by short sequences from the movie ”Niviukkatut ilillunga” (Like a fly). 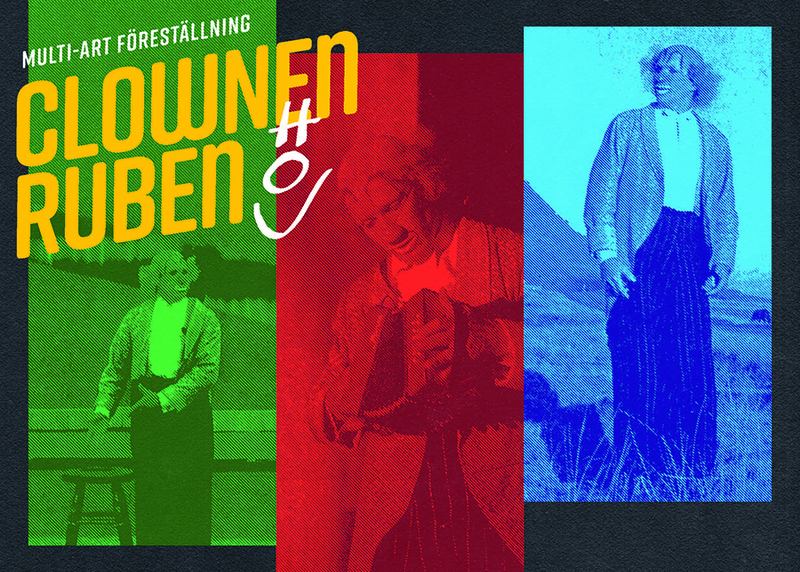 – ”Now” is depicted by music, various classical clowncaprices, stories and musical interaction with the audience. 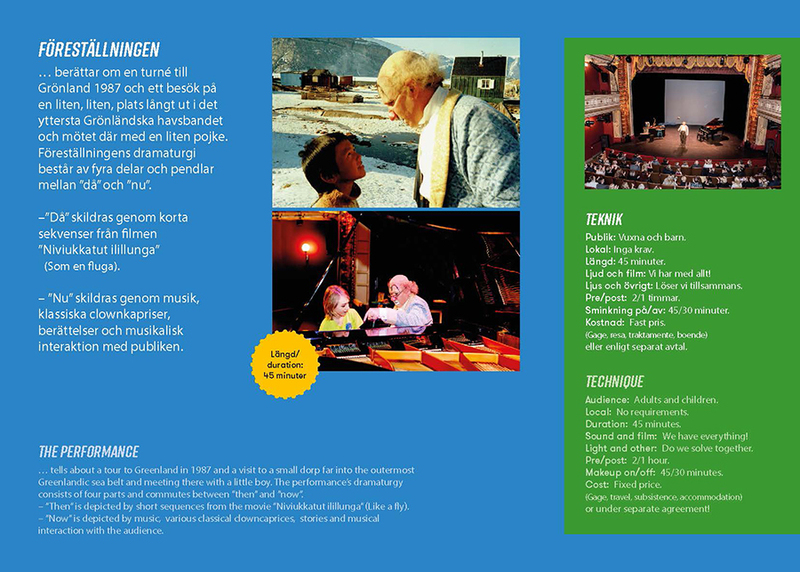 Local: The audience's opportunity to experience the performance is primary priority. Duration: 47 minutes. OBS: May be shortened some minutes if necessary! Sound and film: Sound system for music. Projector where we can connect our computer and screen. Light: Do we solve together. Stageset:	Do we solve together.